There is a grand sense of momentum evident at Jacksonville’s community of Tamaya. The master-planned community located between the Beaches and Downtown Jacksonville is progressing quickly. The first neighborhood, Bella Nina, is more than 50 percent sold. A new grand entrance and residence club are now under construction at Tamaya. Location, luxury and lifestyle define Tamaya. The crown jewel of the community will be an $11 million grand clubhouse that will serve as a centerpiece for an array of recreational and social activities. 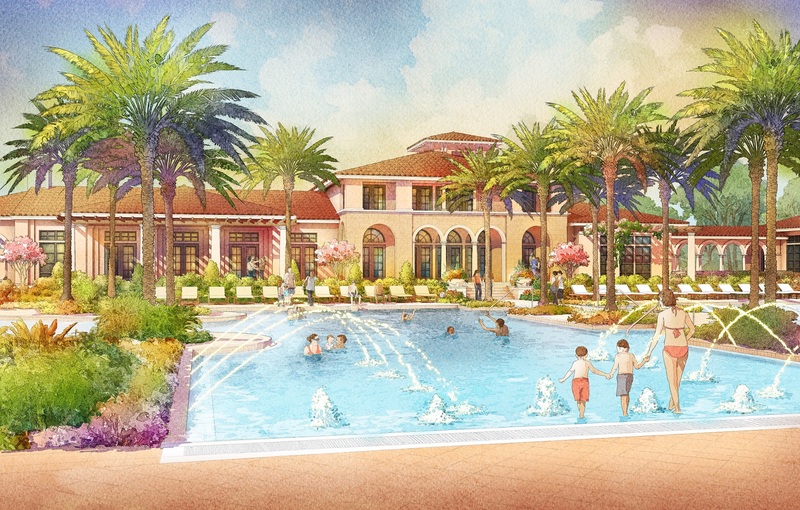 The 10,000-square-foot clubhouse, pools, and outdoor recreation areas, including tennis and an event lawn, are planned to include nearly 4,500 square feet of fitness space inside of the clubhouse. The amenity center at Tamaya will be designed by the architectural firm of Ervin Lovett Miller of Jacksonville and Ansana Interior Design of Orlando. 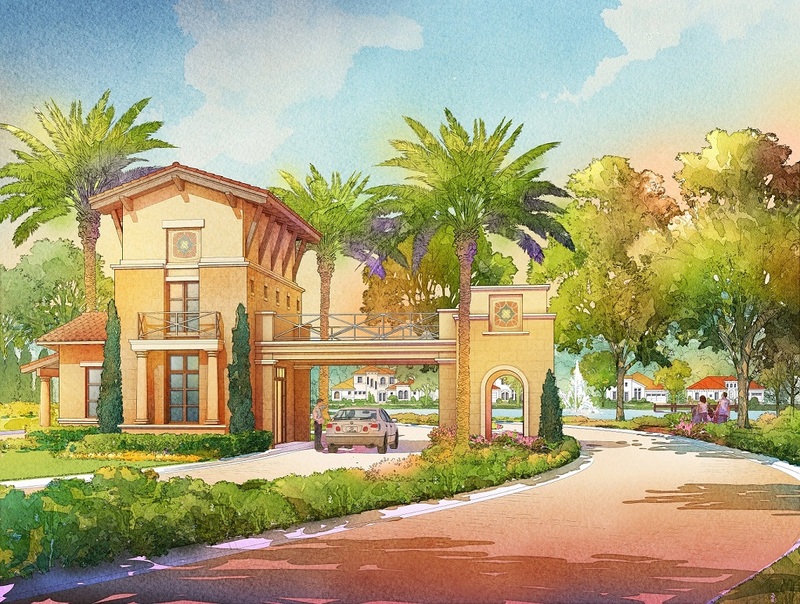 From the community’s new grand entry fronting Beach Boulevard, the road to Tamaya will lead to a magnificent two-story gatehouse welcoming residents and guests to the community. Stunning amenities, beautiful parks and meandering walking paths will punctuate Tamaya’s special surroundings and luxurious Mediterranean-style homes. Families are drawn to the community because of its proximity to top-rated schools. Children in the community may attend Kernan Trail Elementary and Kernan Middle School. Effective August 2015, Tamaya has been rezoned for Atlantic Coast High School, a new A-rated high school known for its advanced academic programs and state-of-the-art technology. Since opening for sales in 2014, Tamaya has experienced tremendous success and developers have exceeded goals. With its first, 169-home neighborhood, Bella Nina, more than half sold, construction is underway on Tamaya’s next 146-home neighborhood, Bella Nika, where new model and home construction is anticipated to begin in early 2016. Tamaya by ICI Homes offers a wide variety of distinctive, flexible and customizable home designs showcasing Tuscan, Mediterranean and Spanish architectural influences. Homes range in size from 1,900 square feet to more than 4,000 square feet and range in price from the $300,000s to $600,000s. The best way to envision life at Tamaya is to visit the community and its model park and vision center. 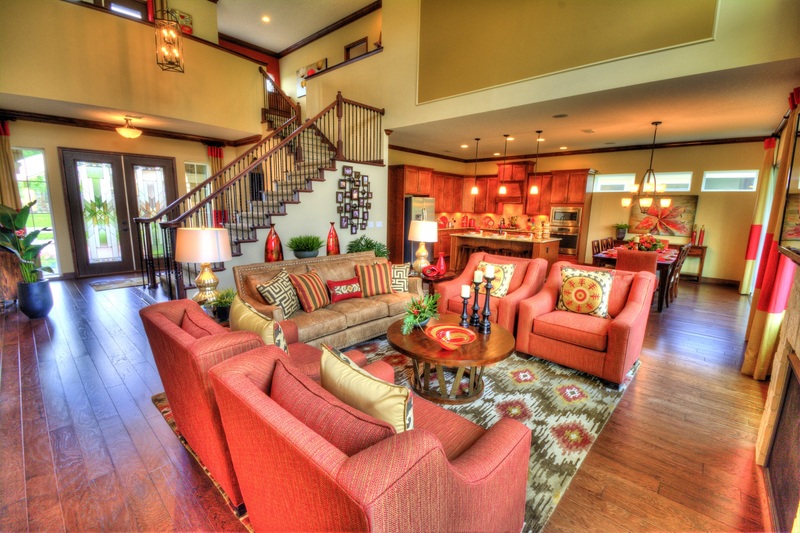 ICI Homes has eight designer-decorated model homes and a variety of move-in ready homes available at Tamaya. Private tours of the move-in ready homes are available by appointment. Tamaya is located off Beach Boulevard, midway between Kernan and Hodges boulevards in Jacksonville, Fla. For more information, call (855) 279-6053 or visit www.TamayaFl.com.